1) I am an employee of Olympus Malaysia. I am reviewing the Olympus OM-D E-M1 from a photography enthusaist’s point of view. I was given the liberty to perform the gear review as usual. 2) This is a user experience based review. 5) No post-processing applied to the images. All images were as good as straight out of camera, with minimal cropping for better presentation. About one week before I published my Part 1 of the Olympus OM-D E-M1 review, I have posted up a poll to survey what are the priorities that you beautiful people want for the key items that I am reviewing. The item that got into the top of the list was "Comparison between E-M1 and E-M5". I have never done direct comparisons between cameras, knowing well there are just too many differences to consider and variables to control. Furthermore there are so many other websites that provide such technical photography gear review with comparisons, and obviously they are better equipped to provide you with better information and more accurate results (studio set-up lighting). There are just too many things that can go wrong and change in blink of an eye while shooting on the field. However, since it was a popular request (and how much I love you all), I shall do a side by side comparison with the older OM-D E-M5. In this blog review, I shall discuss the key differences between the E-M1 and E-M5, especially the improvements in image quality, new features and technologies implemented in the E-M1. Needless to say, looking at the comparison between the two cameras side by side, it is obvious that the E-M1 has a more substantial hand grip, allowing for steadier hand-holding of the camera. Hand holding the E-M1 feels better and more comfortable in hand, than the E-M5. The larger size of the E-M1 also allows for the buttons and controls on the camera body to be made bigger, and spaced further apart between each other. Many users found the E-M5 to have too small of buttons and cramped controls for users with larger hands, which the E-M1 has improved. E-M1 is a much more solid camera, you can feel in your hand that it is has better build quality than the E-M5. The solid feel of E-M1 is very reassuring. Considering that the E-M1 is also heavier and larger, it is more balanced to be used with larger lenses. Adding on the HLD-7 will allow better handling with longer lenses such as the Zuiko Digital 50-200mm F2.8-3.5 SWD lens, or the Zuiko Digital 14-35mm F2 SWD lens. Olympus has always been known for having superior JPEG processing engine, which has been praised by respectable photography review sites such as DPReview.com, producing optimized image output, even straight out of the camera. Olympus has introduced the Fine Detail Processing technology in the DSLR E-5, and all subsequent cameras (E-P3, E-P5, OM-D E-M5, etc), improving the "per pixel sharpness" and ability to capture fine detail in images, which I have demonstrated in many of my insect macro images. Olympus JPEG files often produce very natural tones, optimized resolution as well as true to life colors with pleasing skin tones. What else can we improve, and what has Olympus added to their new Fine Detail Processing 2 in their E-M1? Fine Detail Processing 2 (FPD2) is implemented in Olympus' latest image processing engine, the Truepic 7. 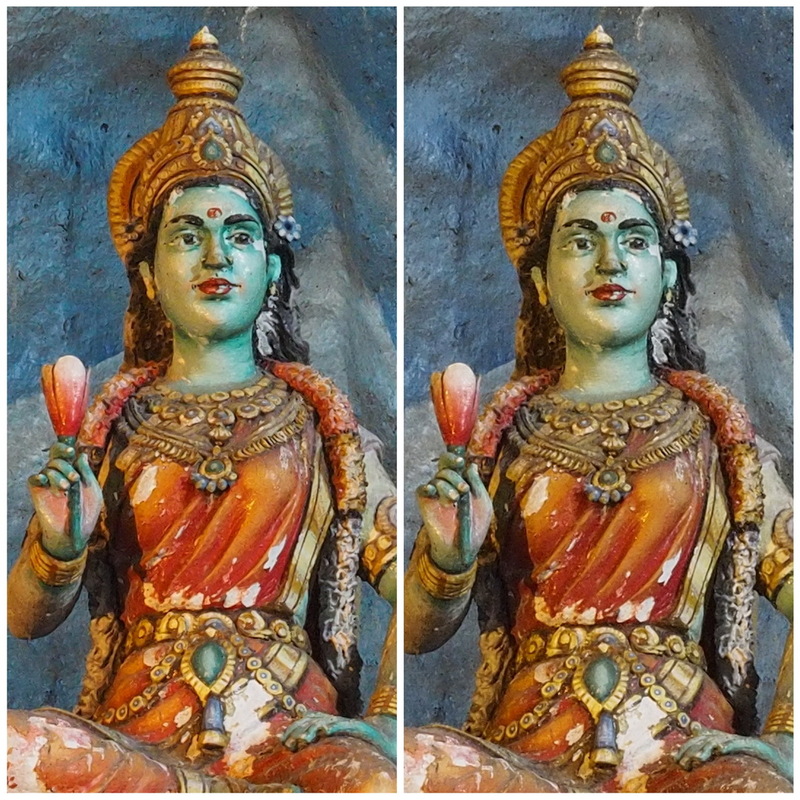 The benefits of having the FDP2 is being able to create flaw-corrected, optimized JPEG files, straight out of the camera. FDP2 applies various corrections and compensations on image property flaws (chromatic aberration, loss of resolution due to diffraction, etc). We all know that software correction of distortion and chromatic aberration are not unheard of, and have been widely implemented on newer cameras and lenses, but Olympus took a step further by having the E-M1 to recognize each individual lens separately, and apply the relevant corrections in correspondence to that particular lens only. Each lens profile information (applicable to Olympus lenses only) has been stored within the E-M1, and as the lens is used the FDP2 will adaptively correct the lens flaws. Also, the level of JPEG sharpening will be applied varyingly depending on which lens being used. Obviously the lens sharpness of a macro lens, such as the M,Zuiko 60mm F2.8 macro will be a lot better than, say the kit lens M.Zuiko 14-42mm F3.5-5.6, thus practically less sharpening should be applied on the images taken with the macro lens. 100% Crop Comparison from previous image. I believe the above images and comparisons compiled are self-explanatory. 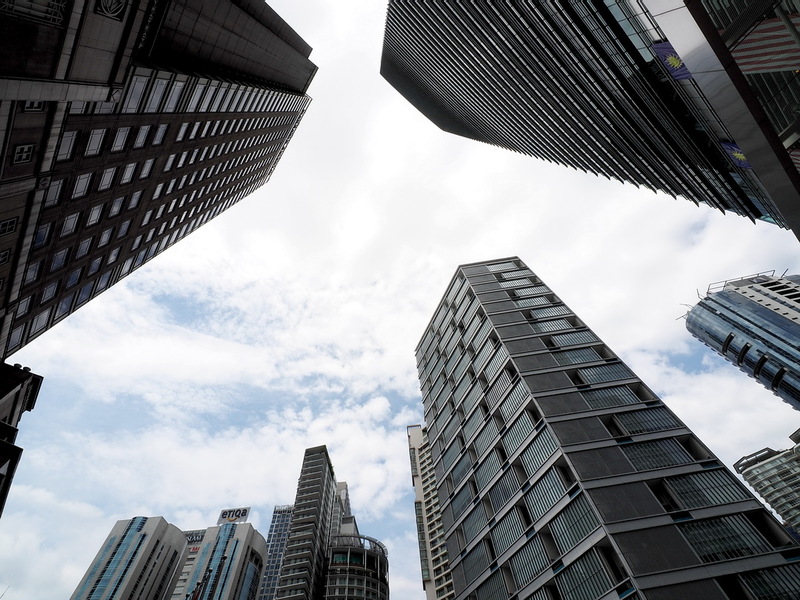 Chromatic aberration (color fringing) happens in several notable shooting circumstances such as using wide angle lenses and shooting at wider apertures. 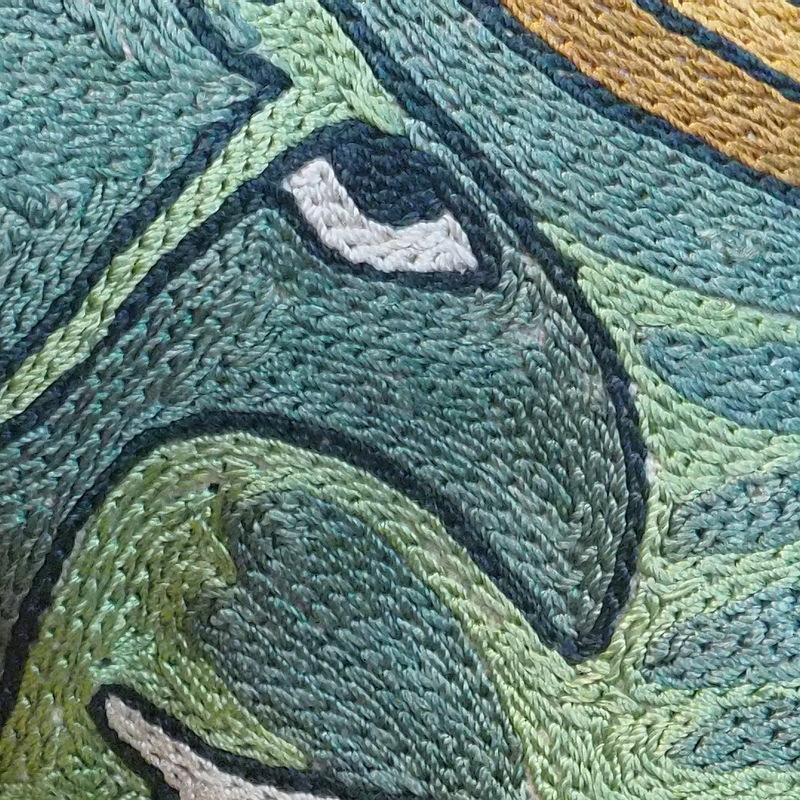 The effect of the chromatic aberration is even more evident in high contrast areas, and at the corners of the image. 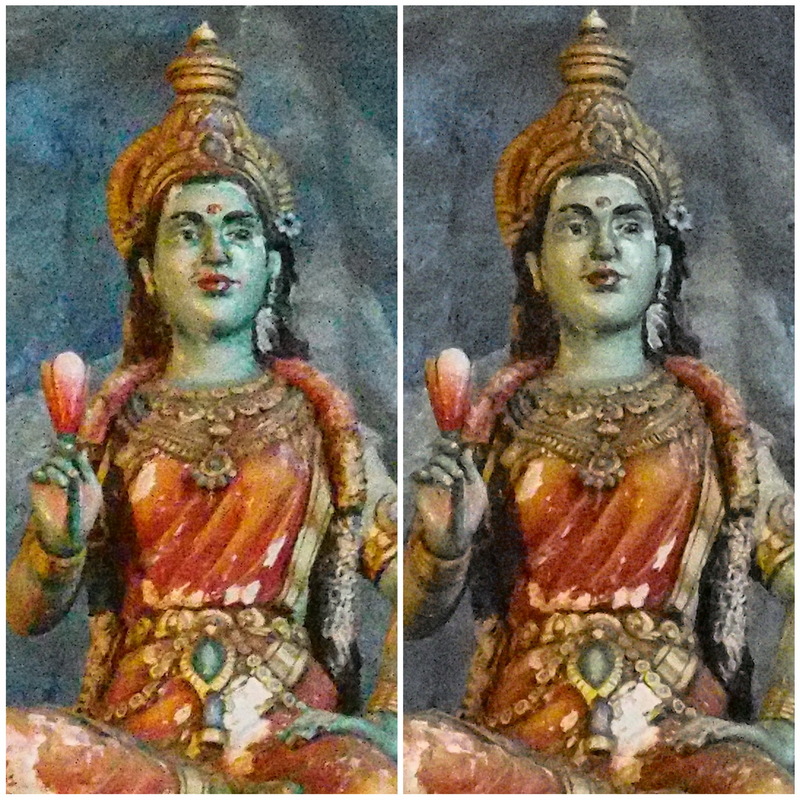 From the comparison images between the E-M1 and E-M5 it was evident that the E-M5 files exhibited fairly visible amount of chromatic aberration. On the E-M1 the color fringing is better controlled and to my own eyes, they disappeared almost entirely! 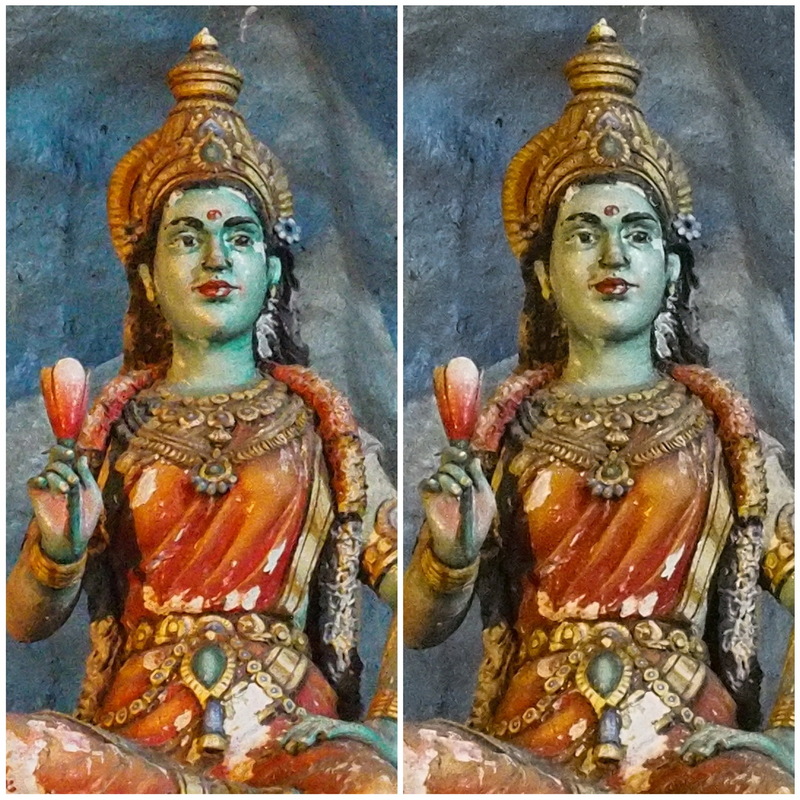 I understand that it is not difficult to correct the chromatic aberration problem via photo-editing softwares, and newer softwares do provide lens correction options, which do work very well. However why should we be doing the corrections? Instead of wasting time to go through the imperfections it is not too much to expect the camera to take care of its own flaws and limitations, and let us worry about other important things! 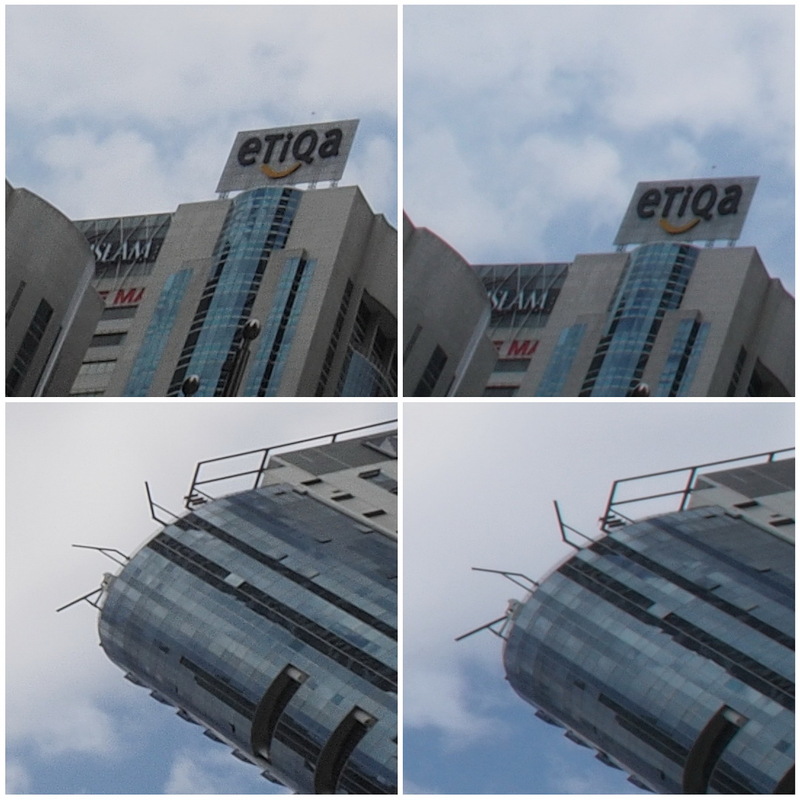 Besides chromatic aberration, E-M1 also compensates for the loss of sharpness due to diffraction, a problem encountered when shooting at narrow apertures, such as F11 to F22 which is a common issue with any lenses from any manufacturer. General recommendations would suggest Olympus Four Thirds and Micro Four Thirds shooter not to go narrower than F16, with drastic drop in terms of resolution due to the diffraction issue. The FDP2 will adaptively apply sharpening to the images shot at very narrow apertures. I believe this may not give a big advantage for RAW shooters who would ultimately sharpen their images via post-processing, but for JPEG shooters, getting an optimized image is crucial, and FDP2 helps with that. In my part 1 of E-M1 review I have mentioned that high ISO shooting with the E-M1 has shown noticeable improvement over E-M5. I roughly estimated a one stop improvement but of course, I did not have any evidence or experimental data to back up my "assumed" claims. In addition to that, the argument of "how much noise is tolerable at high ISO" is a very subjective and everyone has different level of tolerance. My observation of usable ISO6,400 may not be agreeable with you. In fact, I have some friends who scrutinize their ISO400 files and scream at the noise they see (believe me, non-Olympus users). Digital noise is ever present and I am showing you images with noise-filter turned completely off. For practical usage (non-review purposes) I always apply "low" noise filter setting, and at higher ISO shooting I will further apply noise reduction for better presentation. I will not make any conclusions and shall leave the high ISO debate open. 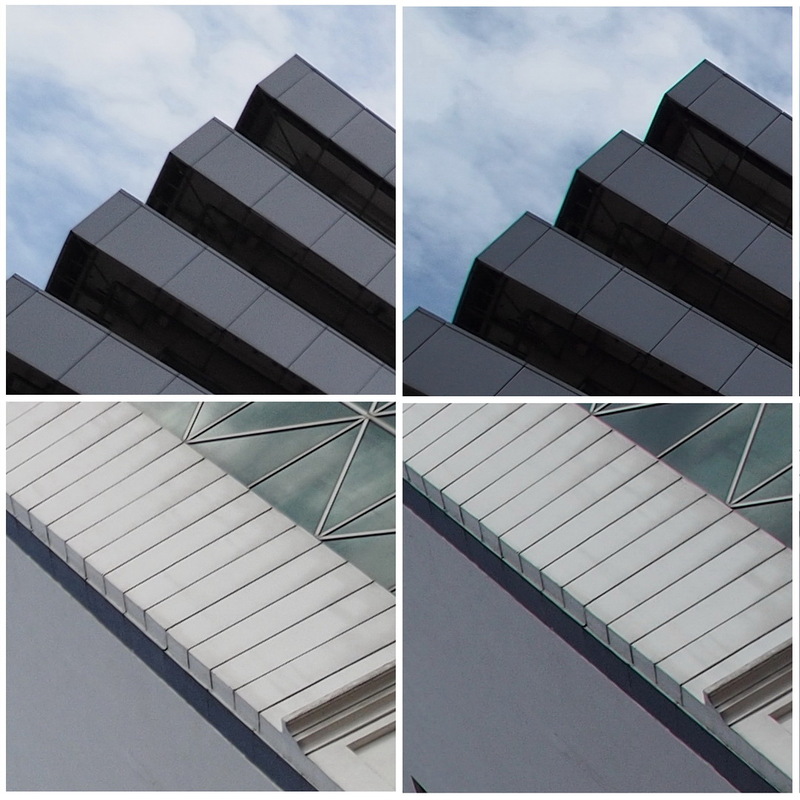 Based on my observations, the fine details are better retained in the E-M1 files in comparison to the E-M5. Chroma noise are very well controlled on both cameras, with minimal chroma noise present even at ISO 6,400 images. However, the E-M5 suffered visible color shifting, which was more controlled in the E-M1. It can be said that there is no huge jump of image quality when comparing E-M1 to E-M5 side by side, to be frank, I do not even see much difference all the way up to ISO6,400. 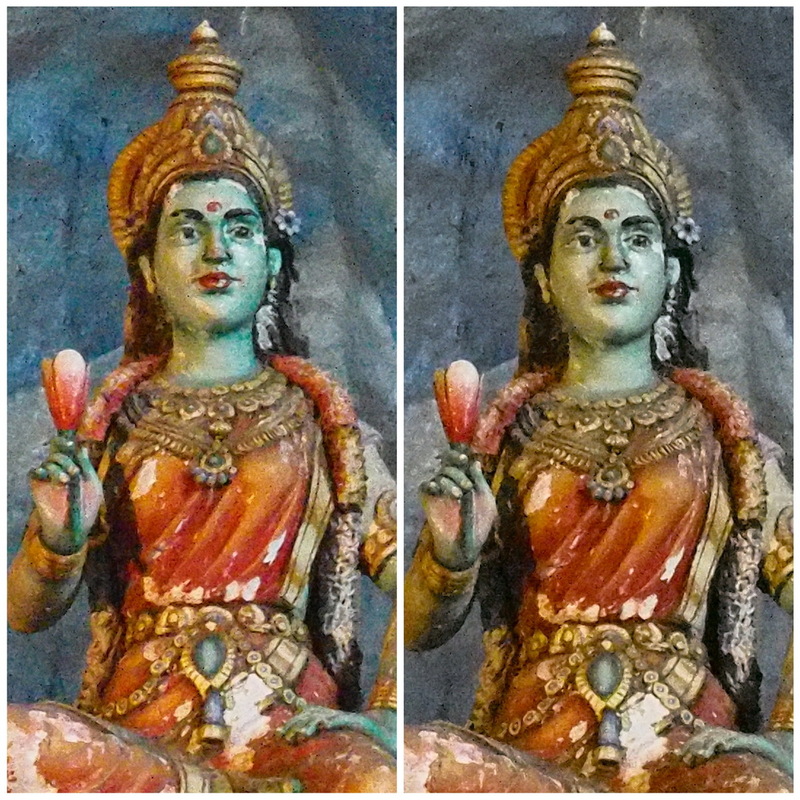 At ISO12,800 and 25600, the E-M1 files produced less color shifting and appear cleaner. With a little bit of noise reduction in post processing even at ISO6,400, the image files from the E-M1 is very usable, and the fact that the color shifting is more controlled, it is an added bonus. 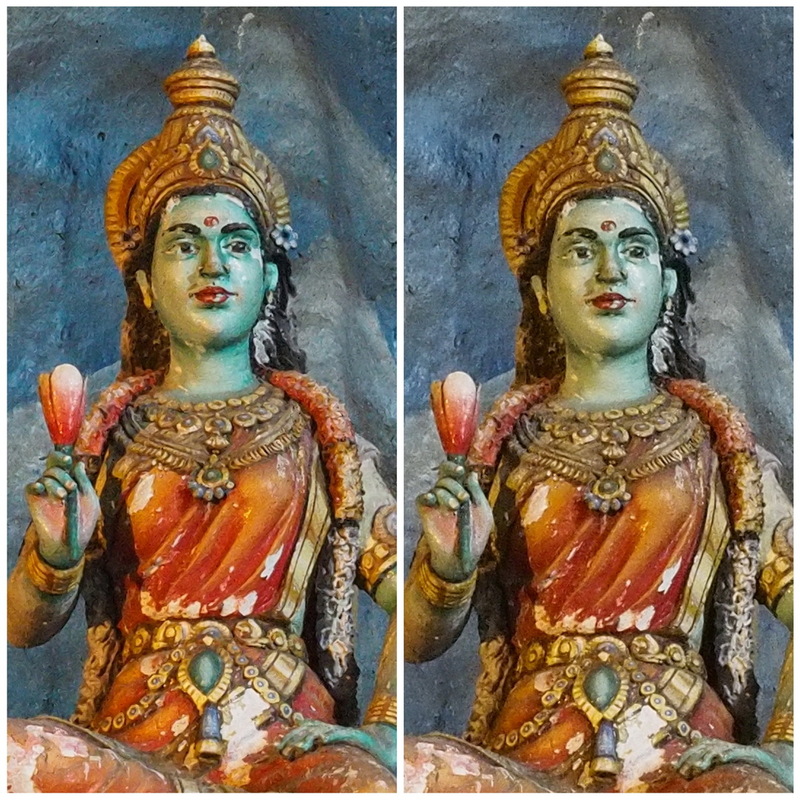 The following images demonstrated the "color shifting" when shooting at extreme high ISO, which was observed in E-M5 at ISO25,600, but was very well controlled in the E-M1. E-M1 has the new "adaptive brightness technology", which is some kind of "auto-brightness" setting that changes the brightness of the EVF in correspondence to the surrounding available ambient lighting. 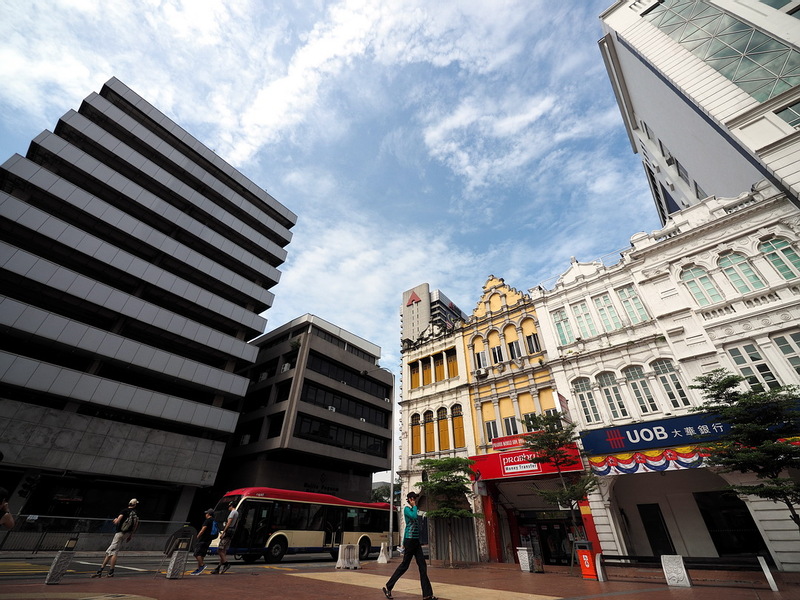 For example, if you are shooting outdoor under the harsh afternoon sun, the EVF will automatically brighten to accommodate the intense brightness outside. Similarly if you are shooting indoor with dim ambient light, the EVF's brightness will be toned down, adjusting itself to match the lighting conditions. Having this adaptive brightness technology saved a lot of trouble fine-tuning the brightness settings manually. One notable importance is the consistency of color between the EVF and LCD display screen. On the E-M5, and most other cameras with electronic viewfinder (name any brand and model) the color balance as seen on the EVF would be different from the LCD monitor. The E-M1's EVF was an LCD display itself, hence producing color balance similar and consistent with the camera backscreen LCD. The Wi-Fi control was first introduced in the PEN E-P5, and now has been improved further in the OM-D E-M1. The Wi-Fi features built into the E-M1 work with both iOS and Android devices. You can control the camera and use the Wi-Fi functions with your i-Phone, i-Pad, Android smartphones or tablets. In order for you to do this, you need to install an app into your smart device, the Olympus O.I. Share (free download). Do take note that the E-M1 emits its own Wi-Fi signal and does not require any additional Wi-Fi network for connectivity. You can connect your smart device (with built in Wi-Fi function) to the E-M1 directly, this can be done anywhere. Connectivity has been made very easy and straightforward, and is similar to the pairing method found in E-P5: via scanning of QR code. Once the Wi-Fi function is activated on the E-M1 (by touching the Wi-Fi icon on the LCD display), a unique QR code will be generated. Then by using the O.I Share app to scan the QR code, you are automatically connected to the camera through your smart device. No hassle of typing in passwords. I do think this method is quick, simple and much more convenient than other methods of pairing the device. Of course Android users will point out how their NFC (Near Field Communication) can be even better, but Olympus is doing its best to cater for a larger crowd, which includes a large base of iOS users. With the E-M1 we now have full range of P, A, S and M shooting modes to choose from, and I personally shoot with Aperture Priority (A) and Manual (M) more frequently. You can further control the ISO settings (full range from LOW to highest 25,600) and also the White Balance with live preview of the adjustments in real time as you change the settings. Basically, all the important parameters to control on the camera are available through the Wi-Fi remote control function. Olympus was the pioneer of introducing LIVETIME and LIVEBULB shooting modes, meaning that while you are shooting long exposure, especially in BULB mode (leaving the shutter open as long as you want) you do get instant, live preview of the image developing in action. The advantage of this feature is allowing you to see what the camera is seeing and make necessary adjustments if necessary, which no other cameras can do. Supposing you are shooting with a traditional DSLR (yes, DSLRs are traditional, you can quote me on that) in BULB mode, you get a black screen and you would not know what you are getting until the full shooting time is over. With Olympus' LIVETIME and LIVEBULB, if something was wrong you will know it through the real time live preview on the screen and you can abort the shot early and redo the scene, without wasting time! The LIVETIME and LIVEBULB features are fully available in the Remote Control function! Basically, you can use your smartphone as a remote shutter release, and think of the possibilities: light painting with you knowing exactly what is happening from the live preview and even better, shooting fireworks without guessing what goes into the frame, or if the image is already over-exposed! Since your smart device is connected to the E-M1 wirelessly via Wi-Fi, you can transfer the images (JPEG only) to your smart device for immediate use. The O.I Share allows you to preview, and select multiple images to transfer (you do not have to transfer all at once, just the images that you want). 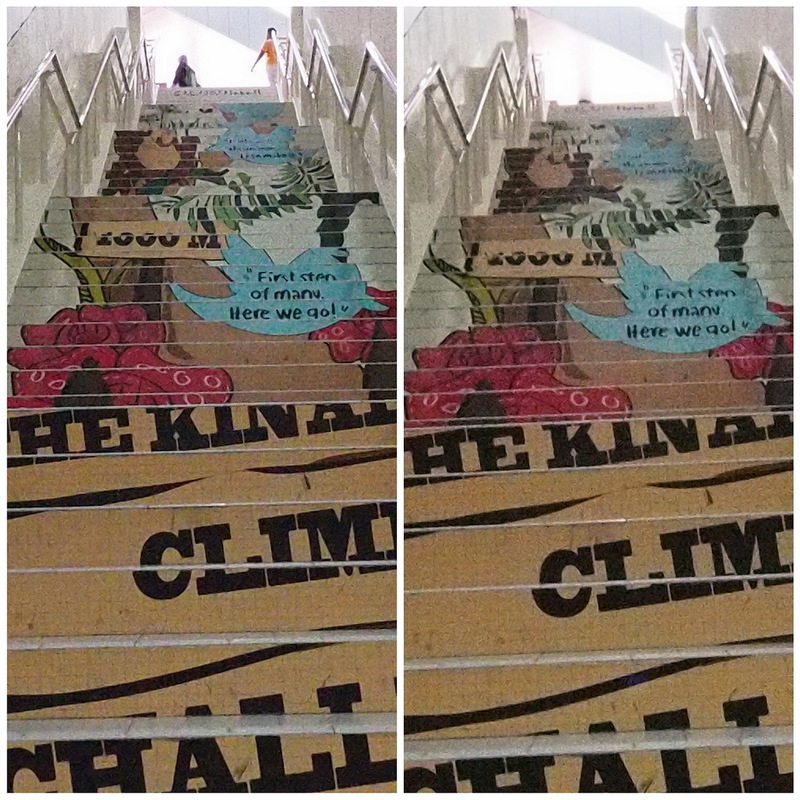 You can add Art Filters (such as Pop Color, Cross Process, Pinhole, Grainy Film) to the images. The O.I Share is fully integrated with popular social media, thus you can share the images on Facebook, Twitter or Instagram. In case any of you are asking, the working range of the Wi-Fi connection is rated at a distance of 5 meters radius from the camera. I personally think that all future digital cameras will have built in Wi-Fi function. It made the camera so much more versatile and flexible. Olympus has made the connectivity easy and hassle-free. The full control over the camera with the option of shooting LIVETIME and LIVEBULB provided a lot of creative freedom and flexibility for a lot of shooting conditions. Olympus continuous their vigilant effort to optimize their image processing engine, and in E-M1's Truepic 7 the image processing has been improved even more. Now we have the Fine Detail Processing 2 that takes into consideration the individual lens profile and applies corrections and compensations accordingly (chromatic aberration and loss of resolution due to diffraction). Furthermore, E-M1 does not have an anti-alias (AA) filter on the image sensor, allowing it even better fine detail resolving. High ISO noise is better controlled in the E-M1, and this was especially evident when shooting at ISO12,800 and 25,600, with less colour shifting and better detail retention. Previously I mentioned that I was comfortable shooting at ISO3,200 with E-M5, now with the E-M1 I would not hesitate to go up to ISO6400, but I would not push any further beyond that. On the whole, the previous Olympus OM-D E-M5 was doing great, producing image quality that is on par or even surpassing many of the current APS-C DSLR offerings, but the new E-M1 is even better. E-M1 has beefier grip, better balance and more comfortable to hand-hold than the E-M5. E-M1 is also a latrger than E-M5, and the buttons/controls are larger and better placed. Overall better handling and improved ergonomics. With the E-M5, I can shoot confidently at 0.5 seconds hand-held, while with the E-M1, I can slow down the shutter speed to 1 or even 2 seconds. Both shooting with wide angle lens, of course. The E-M1 has much, much larger viewfinder, with viewing experience being significantly better than it was on the E-M5. You will have to put both cameras side by side, and view through the EVF to tell the huge difference. Remember how Four Thirds lenses were slow and hesitant when used on any previous micro Four Thirds cameras? Now with on-chip phase detect AF, built onto the image sensor, the E-M1 can fully utilize the fast focusing on all Four Thirds lenses, with speed matching the previous flagship DSLR E-5. This opens up a whole world of lens options to choose from. Since phase detect AF has been implemented in the E-M1, the continuous focusing with tracking has been dramatically improved. E-M1: What Could Have Been Improved? The E-M1 uses the exact same battery as the E-M5. Throughout my shooting tests with the E-M1, I did not feel that the battery life was any way better than the E-M5, and even if it was, the improvement was not significant. I can get away with about 400-500 shots per battery. For casual use this is not an issue, but for serious shooting, especially for professionals, having a battery that can last much longer than that is crucial. On the plus side of things, the E-M1 uses the exact same battery as the E-M5 (BLN-1) thus benefiting the existing E-M5 users. Coming from the background of using the DSLR E-5 with the flexibility of using full swivel screen, the tilt screen (non-rotateable, only tilts up and down) was not as versatile when it comes to difficult angle shooting. For example, when I shoot with the camera in very low angle, on vertical position (portrait orientation) the tilt screen was not in anyway helpful. When using Four Thirds lenses, the AF area is limited to mostly center of the frame (taking about 60% of the frame), and no autofocus points are allocated outside of this area. Unlike the contrast detect AF (using Micro Four Thirds lenses) the focusing area was well spread out all across the frame. Well... I could not think of any more. If I do, I will surely update this page again. Special thanks to Jason Lioh for the photos. 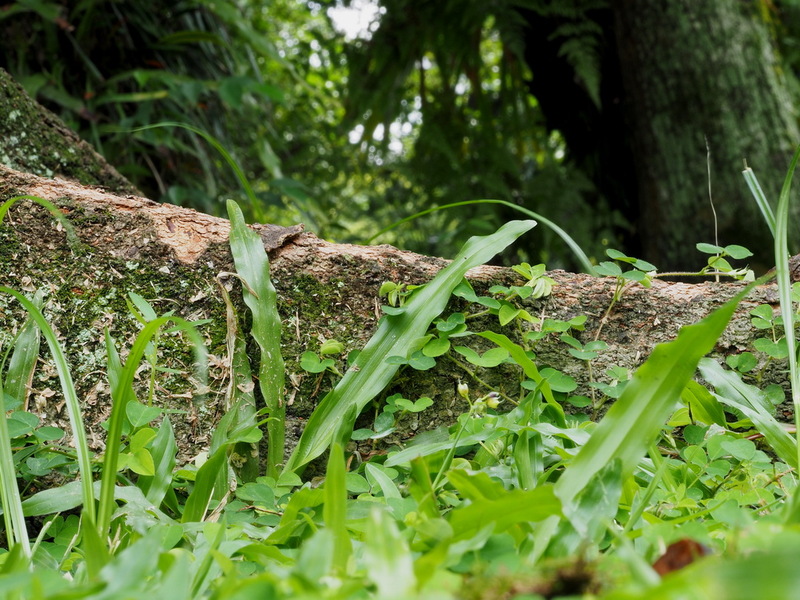 When a photographer is looking for a professional grade camera, there are a few key factors that are taken into consideration: image quality, camera performance (autofocus) and reliability. The Olympus OM-D E-M1 has a new 16MP Live MOS image sensor that is capable of shooting at high ISO, on par or surpassing the APS-C DSLRs. Olympus has also excluded the anti-alias filter, allowing higher fine detail resolving power. Furthermore, the JPEG processing engine was further optimized in Truepic 7 with Fine Detail Processing 2 that automatically corrects and compensates lens flaws (chromatic abberation, diffraction, etc) according to individual lens profile. There are no other cameras in the market that offer the combination of all the above features that truly optimize the image output from the camera. Having a professional camera system also means having a good selection of lenses. Olympus Four Thirds system (DSLR) has some of the best zoom lenses in their classes, while the newer Micro Four Thirds family (M,Zuiko lenses) did not overlap the lens line-up of their predecessors, instead, filling in the gap with incredibly fast and sharp prime lenses. The E-M1 now has a built on-chip Phase Detect AF system that fully utilizes both systems, allowing a massive collection of lenses to choose from. Do note that all High Grade and Super High Grade lenses from the Four Thirds DSLR system were fully weather sealed with high performance optics. In comparison with any mirrorless systems out there, Olympus now offers the most comprehensive collection of lenses (ultra wide angle, fisheye, macro, wide zoom, prime lenses, super telephoto zoom, telephoto prime, etc). With the Phase Detect AF, the continuous focusing with tracking on the E-M1 has been dramatically improved, and is leaps and bounds better than the any other mirrorless systems at the moment. Being a flagship model, the E-M1 is built with full magnesium alloy body, and of course, is also fully weather sealed. The weather sealing includes splash-proof, dust-proof, and now, a new addition: freeze-proof (down to -10 degrees Celcius). Olympus flagship cameras, such as their previous DSLR E-1, E-3 and E-5 have been known to be robust and very reliable even shooting in very harsh and extreme conditions. Finally, I have found a camera, which is worthy to fully replace my Olympus DSLR E-5. Yes, I will be getting one E-M1 for myself, and I am starting to save up for it already! 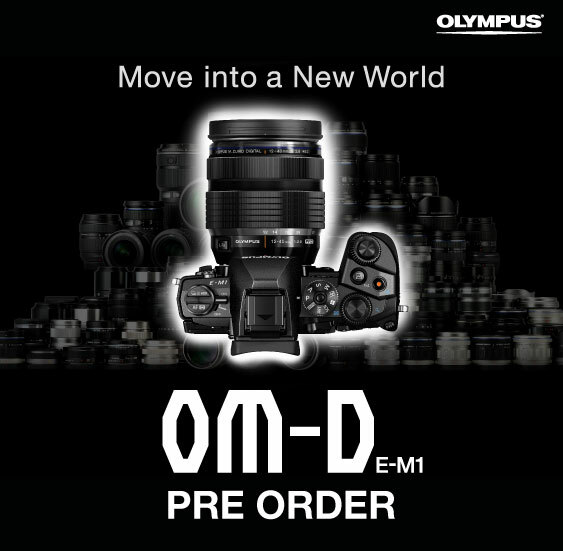 For those of you in Malaysia, you can PRE-ORDER the new amazing Olympus OM-D E-M1 from Olympus' Online Store here (click). Please support me by "liking" my FACEBOOK PAGE (click). You may also read my FULL user experience review blog entries of other Olympus Micro Four Thirds cameras and lenses at Gear Review Page here (click). I have the iPhone 5S and 5 installed with the latest version of iOS 7 plus the latest version of OI Share. However, the "Remote Control" function does not work between my iPhone and my E-M1? I get this popup message within the OI Share app when I tried to do Remote Control "Unable to use this function on this camera. Update this application first before using it." As I said, I have the latest update on both the OS and app. I can at least Import Photos which works. So my question is has anyone able to do Remote Control with their E-M1 with the iPhone 5 or 5S with iOS 7? Does OI Share support iOS7 yet regards to Remote Control? Please help as I want to use remote control with my E-M1. Thanks. P.S. Also tried with my iPad 4 with iOS7 and has the same problem as the iPhone 5S. how did you get the E-M1..? but again how did you get an E-M1? I pre-ordered it and got it in the mail yesterday. Love it very much. So how does one enable the remote control function? The O.I Share App (latest version) has not been released for iOS yet. Only for Android now, if you want to use the remote control function. Soon, it will be released for iOS. Some parts of the world already has their E-M1 delivered! We are quite slow in Malaysia. Ju Wu, no worries, it should come very soon. OI Share in Canada has finally got an update today and the remote shooting is finally working in the iOS 7. Works perfectly. cheers. Thanks you so much for your hard work and time you've put into your blog. Very much appreciated! No problem, my pleasure to share and blog. Thanks for the kind words. Yup! If you apply a bit of noise filter, it should be even better! Hi Robin great review as usual...just one question, all the improvements in image quality are related to jpeg only or also raw? thx...and ciao from Italy! Thanks for the kind words. The improvement is in both. AA filter and new sensor. Nevermind - thanks for the comparison! Woody belongs to my friend, Jason! is this the last part of the review? I tot part 5 is the 12-40mm lens review? Haha... great job review man! Tham, I have decided to review the 12-40mm lens separately. the lens is so good, it deserves its own review! I believe a find a bug using the color picker. When I select or played with the color picker and then want to change the WB afterward, White Balance gets locked to auto WB and it's grey out so I can't change my white balance. Had to rest my setting to get the white balance option selectable again. Did not encounter this problem. will have to check on this. Please do. Like to know what's causing this? I can repeat the bug multiple times and don't know why or what's the reason. Thanks. I don't think its a bug; though I have EM-1 to play with / own / sleep with; the colour creator works on changing to resultant colour output; it may hence have to control the white balance and thus the locked out condition. I also want to sell the underwheliming PANA 1235mm, and the 12-50mm for the 12-40mm. I imagine the color creator is locking it somehow but how do I get it unlock so I may change the WB again without resorting to reset the setting every time after I played with the colour picker. I also reset the colour creator back to it's zero default setting after playing say to green cast, etc and still WB is lock everytime after I use it. I don't think it is a necessity for you to upgrade to E-M1, unless you absolutely need to fully utilize your 50-200mm and 50mm macro lenses. Otherwise, just wait for that one year to be over and you will decide later if you still want an E-M1, or perhaps something newer and even better! I have just checked, the white balance is indeed locked when color creator is engaged. Perhaps the reason in doing so is to allow singular color control. After all the white balance is also affecting the overall color balance and may work against the color creator. The question is how to re-engage the WB function again after I'm finished using the color creator. Even when I turn all the dial back to its default state in the color creator, the WB is still locked... The only way I can get the WB option back is to reset the setting as if I have not used the color creator. check the following thread on dpreview. Find a post by Daddyo; spon on what you are discussing. I AM wanting the use of a fast zoom...I am struggling to contain my camera lust; I do have time to take pics of my students competing in sports evens so it'd be rather nice to have CAF and the 50200 as opposed to 75mmf1.8 and 40-150zuiko, without CAF. Thanks Mark. Mystery solved. Wonder if there's a way to map a button to the color picker directly without going through the multifunction way, may eliminate the need to go to SCP to select another scene to dis-engage color picker. e aware however, that there is one issue with the Color Creator -- if you use the 'Multi-function' button to select it, after you turn it off using that button the camera still leaves the 'Picture Mode' set to Color Creator, and you have to go to the SCP to change it to another Picture Mode such as 'Natural', etc. The problem is that if you don't change the Picture Mode from Color Creator, your WB setting will be locked and you will not be able to change it. Not sure why Olympus has it set this way -- could be a glitch, or maybe there's a valid reason. It's not a big deal, but it's good to know. Definitely at least stop better than the EM5. The EM1 is an excellent camera. Have you tried shooting birds in FLIGHT with it? I've tried it with my EM5 but not as good as my E30 or E-5. A lot of people kept asking me to shoot birds in flight but I have never done any before! So even if I failed with e-M1 it would not mean its the cameras fault. I don't think I have the skills to do it. Very nice comparison, very useful. The only comment I have is the relative size and weight comparison. I found that since many EM5 owners are using their camera with the grip, but without battery pack, the size and weight are basically equal. Actually, the EM5 weighs approx. 15 gr more than the EM1. VERY good point, John! Perhaps I shall add this comparison but that will have to come later. On roadtrip this weekend! Excellent series Robin! I'm very tempted, but the price is a bit out of reach for me at the moment. It's definitely on my Christmas list along with the 12-40 lens. I have encountered no such issue so far. But then again I have only been shooting with the E-M1 for a while. Than again, both E-M1 and E-M5 use different EVF. On Thursday, I spent time on an Olympus-sponsored photo walk with a local camera store and Olympus representatives. I used the E-M1 and both the 12mm f/2.0 and the 12-40mm f/2.8. While I found the photos to be good straight from the camera without adjustment, I noticed a couple of bothersome things about using the camera. The shutter release was incapable of a half-press, at least for me. 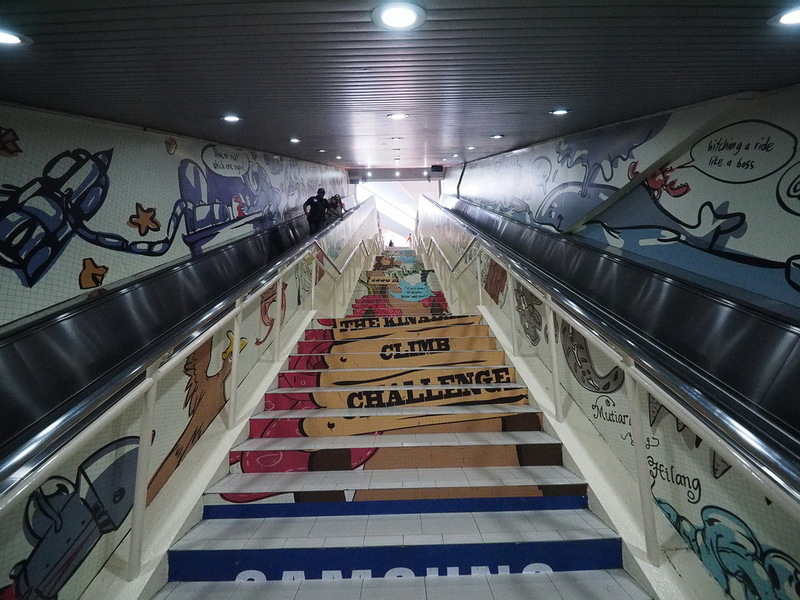 Coming from the E-5 and the Panasonic GH3, it was difficult. The grip's angles, rather than curves, were uncomfortable. When I changed SD cards due to a failure, it reset the numbering, which meant that I had duplicated names of photo files. That can obviously be worked out. The EVF was great compared to the GH3. As I often wear sunglasses, there are times when I see nothing from the GH3 but the E-M1 never gave me such a problem. I'm glad that Olympus have gone further to improve image quality. I have no reservations about the 12-40mm f/2.8 lens and will be buying one. I'm hoping that Olympus would fix their body design problems with the successor to the E-M1. Thanks for the kind feedback. I do notice that the shutter button was rather soft and easy too release but it was a matter of getting used to and in just few minutes shooting with it I am completely adjusted to the softer release. 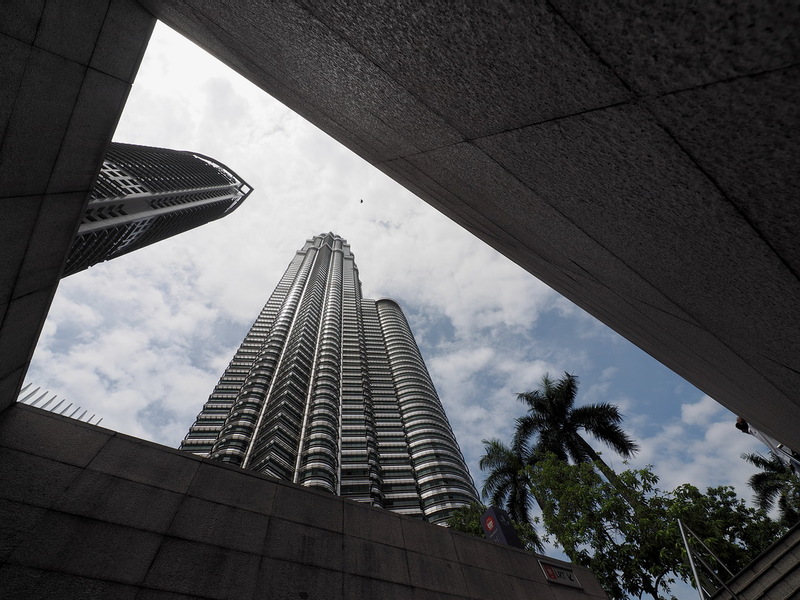 Indeed that 12-40mm pro lens is amazing! Hi,I am always overwhelmed by fantastic photos you taken. I have E-M5 and also ordered E-M1 ! though I can not take photo as you like. 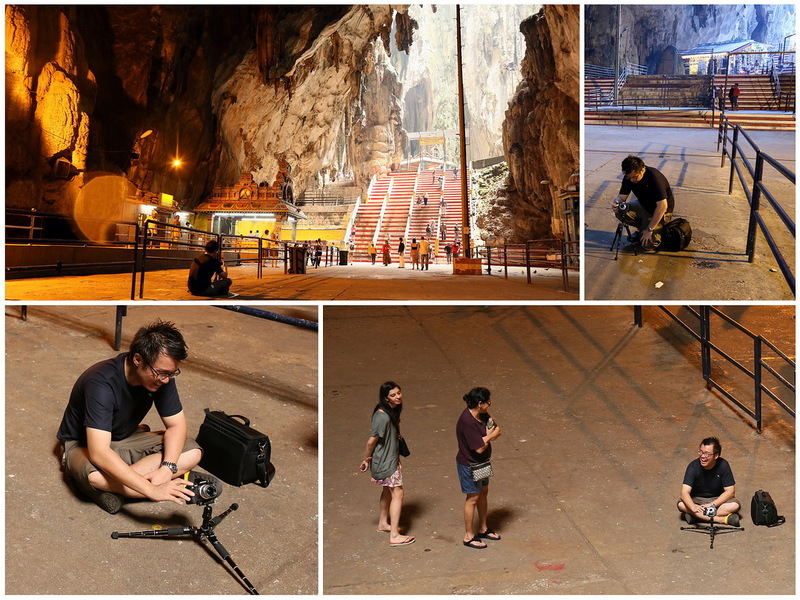 By the way , I'm interested in the cool small tripod using in cave. First, I think it seems Velbon's legs. But I couldn't find it in Velbon catalog. So, Could you tell me What that tripod is ? Thanks for the kind words on my photography. Still learning and improving here. That tripod is a Fotopro M-5 mini. I think you can find it in quick Google search. Bear in mind it is only for use with smaller cameras. Thanks to your information, I found Fotopro M-5 mini in Google easily. I'm going to compare it with others. Very, very well done, Robin. Like all these installments in these series, extremely useful. This one of course especially for those contemplating the differences. Although we are now in an era where IQ-improvements in digital technology are incremental as opposed to revolutionary, the improvement is of course always welcome and useful. It's good to see Oly not resting on it laurels and getting complacent. They always have been known as a innovative company with very competent engineering. It's nice that one can use the higher ISO's in a pinch, but personally I'd avoid any of them, with any camera, but that's just me being a stubborn old goat. On my old gear I avoid anything higher than ISO 320, and use ISO 640 only for absolute emergencies. How the times have changed! But obviously any camera will perform best at base ISO's. If there's not enough light, add light; or use a tripod, like in the film days. Simple. 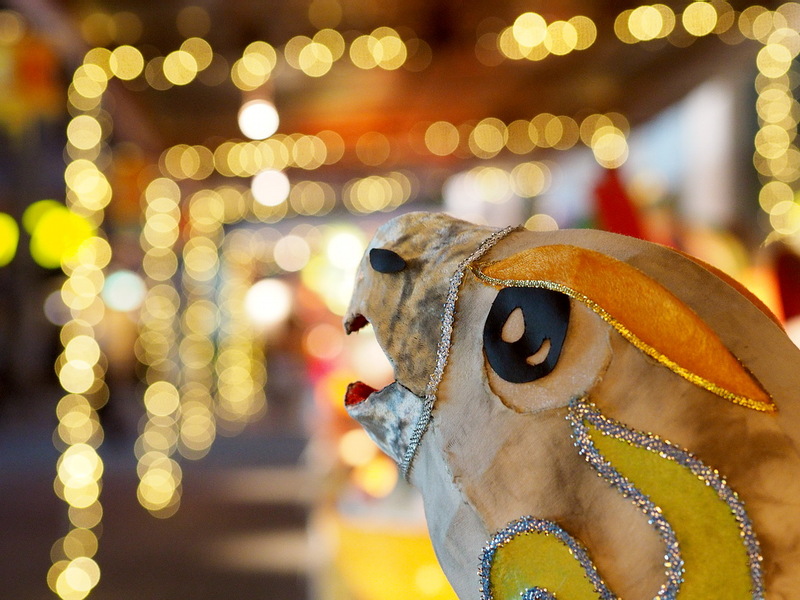 I loved the shot of the fabric parrot and the bokeh balls. Simply gorgeous, and that at ISO 1600. Amazing. 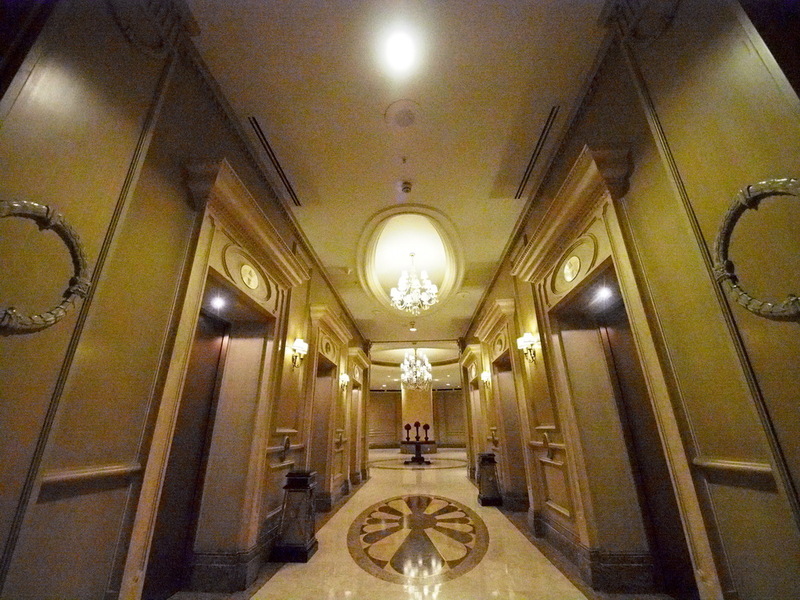 The subsequent shots at crazy-high ISO are jawdropping. Of course there is some noise, but what the heck! I remember the days when ISO 400 was considered absolutely crazy fast film. Indeed, this new Oly M1 camera is truly amazing. The "cave-shot" with the toy cowboy, is lovely too. Funny and very well done. Your work is always a pleasure! Olympus continuously listens to the users, and based on the response they rectify the issues and improve the camera to be even better. Remember how the first generation of Olympus micro 4/3 bodies to be slow in AF and poor in high ISO shooting? Now the latest camera improved all these aspects, and with even more features and capabilities. You were right when shooting at lower ISO being the priority, I personally would stay closer to native base ISO as much as I can and only engage higher ISO settings when necessary. Also I utilize flash when I can to counter the necessity to use higher ISO values. Thanks again for the kind comments on my work. It really seems like the e-m1 is delivering big time. Do you have any experience regarding the shutter schock / IBIS debate going on elsewhere? I have not encountered any shutter shock issues yet, though I have been reading an alarmingly high occurrence rate by users over the internet. can you send a link to this subject, thx! Thanks for your detailed and excellent review! 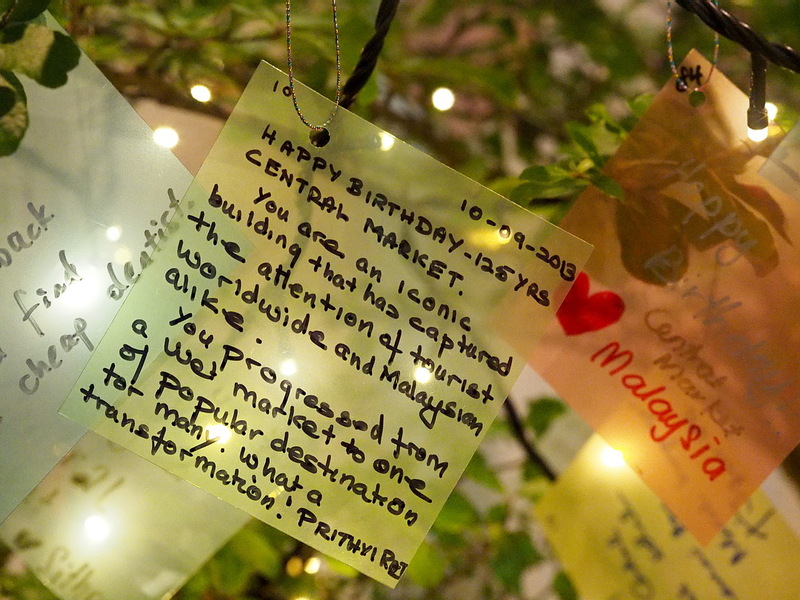 Just one question about this latest entry: are the high ISO comparison pictures taken as jpegs or converted from RAW? I do believe there is noticeable difference in image quality between E-M5 and E-M1 at high ISO values, but so far I have not seen any picture that shows improvement in quality at base ISO 200 when the pictures are converted from RAW-files. With E-M1 Olympus has officially claimed that there is no anti-aliasing filter, but tests have shown (for example Pekka Potka http://www.pekkapotka.com/journal/2013/5/5/olympus-om-d-no-low-pass-filter.html) the filter was very weak or even non-existent even in E-M5, so therefore it is not so surprising if the quality is the same. It was my pleasure to do the review and share with the community. Great review, Robin! Thank you for all the effort! One thing that I am really interested in is how the E-M1's start up times are from turning it on or from sleep mode to being ready to shoot as well as how the viewfinder blackout is after releasing the shutter. These are two things that are pretty much non-issues with any current or even older DSLR, no matter what price class. The E-M5 on the other hand can not compete in this area. If the camera is off you can forget getting a shot right after turning it on. DSLRs don't burn much battery, even when on for hours. Not so with the OM-D ... it needs to go to sleep mode, where again it takes it's time to "wake up". I do not have exact numbers but the startup time was VERY fast. The viewfinder has virtually no blackout actually, and when you shoot with the preview turned off, you can almost instantaneously take another shot after the previous one. I understand the sleep issue with the E-M5 but I have not encountered them with the E-M1. 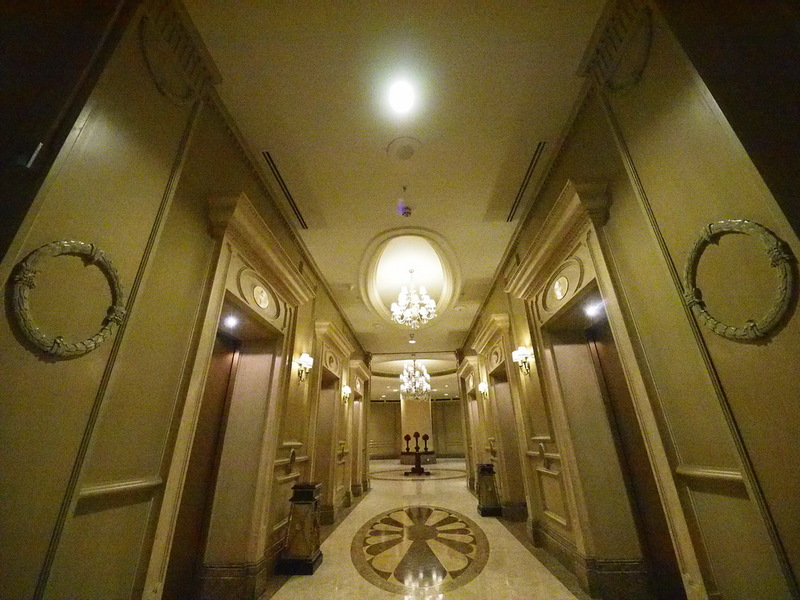 1) Is it correct that the camera's WiFi feature works ONLY with Olympus' mobile app (i.e. can't communicate with a computer via FTP or with other mobile apps such as the excellent ShutterSnitch)? 2) Is it correct that the camera's WiFi can be used ONLY as a "host" and can NOT connect as a WiFi client to a router or computer? The second question is a big one given that the 5-meter range you quoted is rather limited. With my E-M 5 I use Eye-Fi cards, which also are limited in range -- but I get around that by carrying a Sapido battery-powered router in my camera bag, allowing me to send photos to a mobile device over a distance of 50 meters or more. If the E-M1 can't connect to routers and can't work with anything other than Olympus' mobile app, this is going to put drastic limits on the utility of its WiFi capability. The WiFi features in Panasonic's latest cameras are harder to set up, but provide much more flexibility in the types of connections they support. I had hoped that the E-M1 would let me get away from using Eye-Fi cards (which are a bit irregular in terms of reliability) but from the limited information available I'm not sure. I hope you can provide some clarity. Thanks! 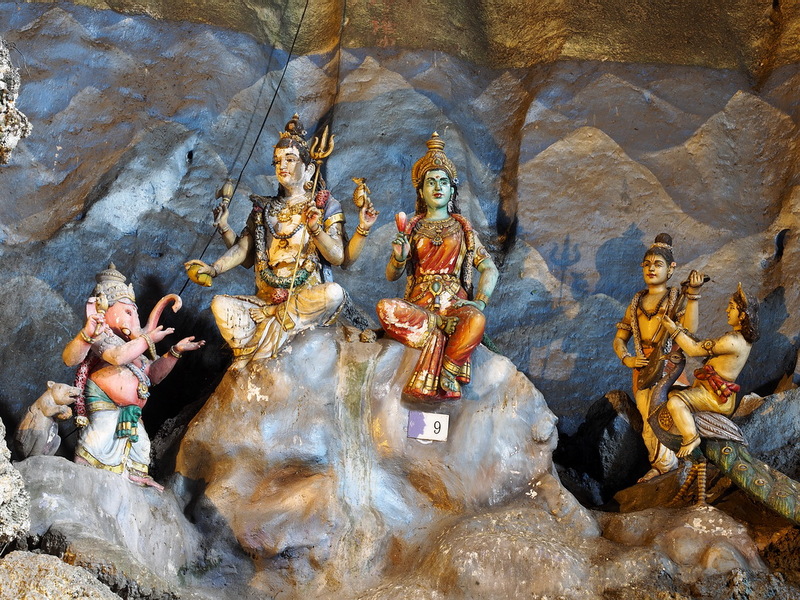 Indeed this particular blog entry, I have spent more time and effort than I can imagine! 1) Yes, you must use Olympus OI Share App to utilize the wifi functions. 2) Yes, you cannot connect to computer or router with the camera wifi. We fully understand the limits of the wifi feature, but rest assured that we will only release full capabilitues of certain features once we are very confident that they can work well with minimal bugs/issues. At this moment, being able to control the camera via phone and tablets is a huge step up. Thanks for that very clear answer. Totally understand not wanting to release a half-baked feature, but from your response it sounds like we should expect router/computer connection in future firmwares? 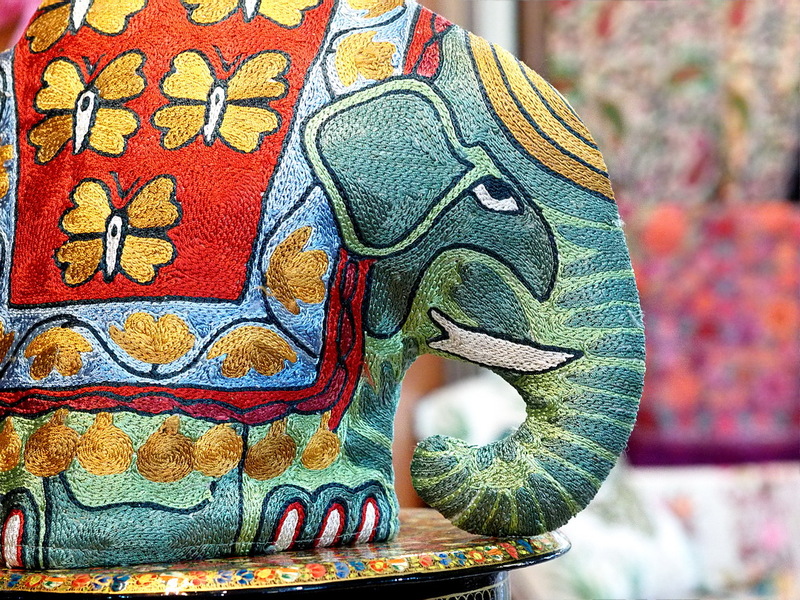 THe elephant pictures in ISO6400 is really amazing. It's nice to see that a m43 body can take pictures very sharp to ISO 6400. I can't imagine with an Olympus 75mm which is very very sharp. And i forgot to thank you for your 5 parts of your review. Indeed the ISO6400 images looked great, and still retained high amount of useful detail. It was my pleasure to do the review and share! Great pics as always (Gotta love the last one). By the way, I've got a question to ask. Has it been excluded from your "review" that the CA corrections on E-m1 actually works with Panasonic lens as well? And is that because you became an employee of olympus, or you have no interest whatsoever in Panasonic lenses? I would be very surprised if olympus Japan hasn't been providing you guys with this particular information. So I just had to ask this, as I'm pretty sure your average readers use panasonic lenses as well and would have loved to hear it from you. Thanks for the kind comments, and I also love that last photograph. I have specifically mentioned in my explanation, that the Fine Detail Processing 2 only works with Olympus lenses. Great Review, Robin! I got my E-M1 two days ago and noticed a vastly different noise behavior in long exposures compared to the E-M5. Something seems very wrong.. I started a thread at mu-43.com (http://www.mu-43.com/showthread.php?t=53621) but that did not help so far. I wondered, if you could confirm this. Maybe there is a general problem with the new sensor or I may have received a faulty unit.. I do. And compared to the e-m5 it's not. Did you see my examples in the mentioned thread? sorry, completly misunderstood your question. i tested with my e-m1 and the result is approx the same as yours. 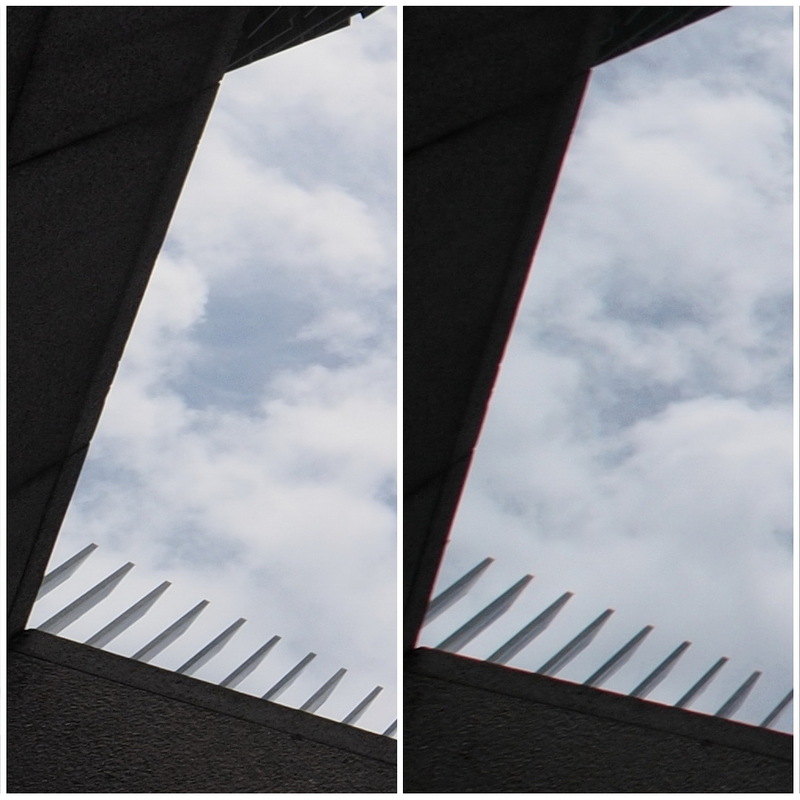 absolute no noise with noise reduction on (raw) and little noise with noise reduction off( raw). difference to your pics, noise only vissible in 100% crop and noise is 99,9% white noise (no color noise, max 10 spots/pic). from the result i am not at all surprised, as i am doing nightshots for a long time, and i dont know any cam, that has no noise (with noise reduction off). i can compare to canon 1D mark iv. so i doubt your result from the e-m5, sorry. Thanks, Arthur for counter-checking! Much appreciated! I'm still concerned there's something wrong with my unit.. I updated the thread at mu-43.com with a side-by-side jpeg/raw comparison. Would you still say this matches the results you get with your e-m1? I also am surprised e-m5 performs so differently, but no dark frame on both cameras (noise reduction turned off) and noise filter has no effect on raw files.. So I have no explanation for this..
the problem with "noise reduction off" setting is, that hell nobody knows what the manufaturar realy does by this setting! i can confirm your findings of your last blog entry for the e-m1 ! choose the e-m5 as comparision, and check the noise. this should make you think, as to what extent olympus has tempted with the true sensor output! the e-m1 is considered "pro", so they give the consumer more real word pictures, with more detail, versus e-m5 cleanliness ... i suppose. The discussion is getting long, and I am glad you guys are interacting while I am not here to answer the questions. Thanks Arthur for your efforts. Regarding "Noise Reduction", it is recommended to turn it on when using longer shutter speeds. Those "noise" are not actually noise, but hot pixels, due to long exposure shooting. Using "Noise reduction ON" would enable Dark Frame Subtraction, meaning after the first exposure, the camera will take another exposure with the shutter closed (hence, the dark frame name) and from the second exposure the hot pixels will be determined and using the locations of the hot pixels, the camera will remove the original hot pixels in the first frame. I know this may sound confusing but please do read up on wikipedia or just simply google Dark Frame Subtraction. E-M5 without Dark Frame is cleaner than E-M1 without dark frame. That is the complaint coming from various forums, I'm sure you've heard of this by now Robin. But I would like to make a suggestion, it would help out those shooting star trails, HDR or other long time sequential events. Can't Olympus take 1 Dark frame at the end of the sequence when in high or low sequential shooting mode? Because right now Dark Frame subtraction is greyed out for this mode of shooting. The dark frames don't vary much, they are very consistent. That one Dark frame could be applied to the group. i am already shooting with the e-m1 and many relayable ft-lenses. i back everything you posted so far, very accurate reports !! a wow experience i made is the accuracy in detail i got with my 90-250f2.8! it´s about a notch better than the e-5. 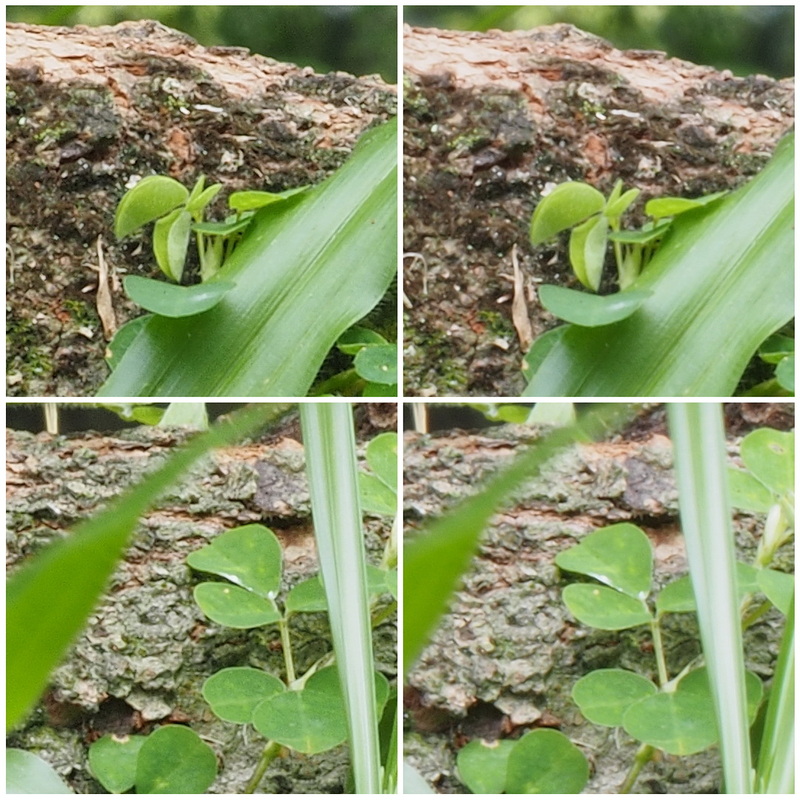 i am also so happy that it work flawless with ft-lens plus extender(1,4/2x). the focus speed is about on par with the e-5, so good enough for my purposes. although, you have to get accustomed to the size of body. it is small indeed ! Thank you so much for the support, and I appreciate you verifying my findings here. Please do go out and shoot more with the E-M1, and make wonderful images with it. Then, share those images! Thank you Robin, your review is ver well done and of course very easy to read and understand. I'm waiting for my OMD EM-1 already ordered. I am sure the wait will be over soon! Fantastic job. Now I need to decide - do I sell my EM-5 or E-5 to move to the EM-1? And, does the 12-40 F/2.8 perform anywhere near as good as the 14-35 F/2, which is the finest lens I've ever used, but heavy. I would keep the 14-35mm F2 lens, it is one and only, not even Canon or Nikon has such a lens! Robin, Thanks so much for this review. All kinds of possibilities started going off in my head regarding wifi control, such fun to be had. I'm curious what tripod you are using in the final photos of part 5 of this review? I am transitioning from a D3s system with a pretty bombproof tripod and trying to choose an appropriate tripod for my OMD E-M5 that isn't quite so, hmmm, well, enormous. Thanks for the kind words. Please do leave a name (nickname will do) next time you comment so I can trace your history. That tripod gthat I have is quite small, perhaps too small, and I would not recommend to use that on E-M1. I bought the tripod to use it on my E-PL1. I can NEVER get 400 - 500 shots from my E-M5 battery. I get around 250 shots when using the camera accessory flash set at 1/64 and around 300 shots when using electronic sync cord and not the camera electronic flash. What you are saying about getting 400 - 500 shots is grossly exaggerated!!!! BTW, I have 3 batteries and they give me about the same number of shots. I did get about more than 400 shots with either E-M5 and E-M1. I think it is the matter of how we use the camera, how much preview, and what type of lenses (larger lenses would require more power to drive larger glass elements). No way to get 400 shots if you are using the flash or even an electronic sync cord with the EM5!!!! I am using the camera underwater in a housing and never use the LCD (EVF only) and do my best to conserve power but I still can only get 300 shots when not using the accessory flash and about 250 shots when using the accessory flash on 1/64 power. My numbers are about the same for the 3 OLY batteries I have and also all of my numerous friends that use the same type of camera, EM5. The lens we use underwater are: 8mm, 12-50 and the 60mm. You numbers are GROSSLY exaggerated or are based on wrong estimates not real numbers. Those are not exaggerated. Come shoot with me side by side. Great review and comparison. On the other side regarding the app for Android or iPhone it's not available in Colombia, to bad is not an international app. Please tell your support people about this. Thanks for your fine work and great site, I do enjoy it all the time. Say hello to your Mum, I follow your ordeal day by day. Happy shooting. Both Android and iOS apps for OI Share have been released and should be fully compatible with full access to the remote control function. Very nice work Robin, thanks so much for taking the trouble to do this comparison between the EM-5 and the new EM-1. It is very clear that the level of detail and the improvement in the colour noise and chromatic aberration correction is simply stellar! 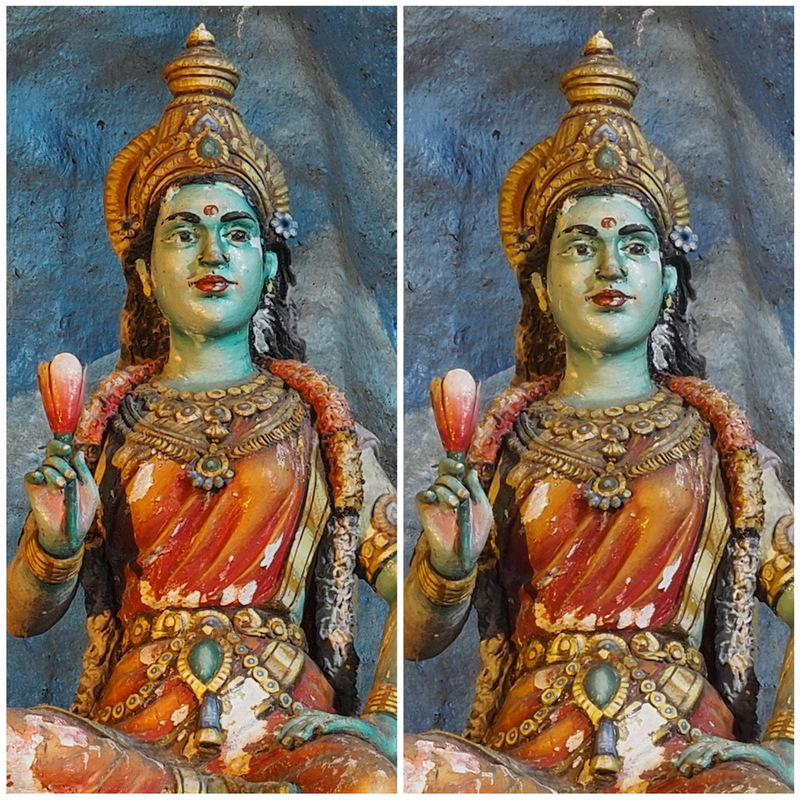 I wanted to know if it is possible to see whether the same (or even an improvement) level of chromatic aberration correction works for non-Oly lenses. I know that officially, this lens profiling and corrective feature is supposed to only apply to Olympus lenses. But could you please see if it works (even if it is a slight improvement) also for non-Oly lenses? By this I mean a comparison between the EM-5 and the EM-1. The second thing is just a comment about the noise levels. I am seeing that in the very high ISO comparisons (ISO 12800 & above), whilst the EM-1 is leaps and bounds ahead in terms of keeping colour shifts and chroma noise suppressed compared to the EM-5 (and in fact compared to most other DSLRs too! ), I do notice that the EM-1 seems to suffer from more "black spots" type of noise artifacts than the EM-5. I wonder if these have anything to do with the presence of the phase-detection sites on the sensor? The 100% crops from the lift lobby in the hotel shows this most apparently. Thank you so much for the kind comments. Indeed the E-M1 has been improved all round and the difference is quite noticeable when compared side by side with E-M5. Unfortunately for now the FDP2 (correction for CA and diffraction) only works for Olympus lenses, and no support is provided for non-Olympus lenses. The black spots are not because of the phase detect pixels, but of course, at such crazy high ISO the noise pattern may present itself in quite an interesting manner. thanks for your efforts in showing us all of the new em1 and your great pictures. i have a question regarding a em1 and em5 comparison. on a german forum we are discussing some" strange" behavior of the em1 in long time exposures (60 seconds) without darkframe, compared to the em5. 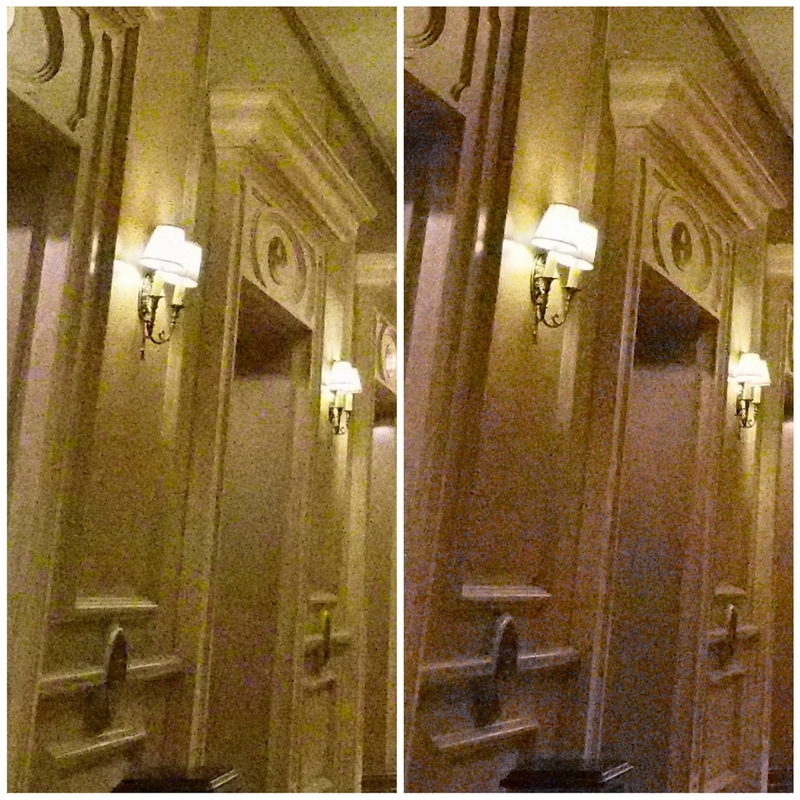 the em5s raws picture are much cleaner, the em1 raws on the other hand is full of hotpixels. we are not shure if it's a em1 fault or if the em5s raw even without darkframe gets some filtering on it. can you check on that and bring us some light? I have never shot long exposure without the dark frame subtraction. I will surely enable it to counter hot pixel problems. Nonetheless, it is not at my level to give any comments. If I do come across anything I shall update it on my blog. Hi Robin, many thanks for your tests and reports! This is very helpful for most of us. And we are very interested to get further information and news to this amazing camera (I already oreordered). You write in your last sentence that you already save your money to buy the camera. Let us help to fill your piggy bank a little bit by publishing your Paypal account. I would be happy to give you a 10€ donation to make your dream come true soon. I actually felt guilty taking in donations for my mum's surgery a few months back. I shall not be taking any more donations unless it is absolutely necessary. Everyone here has been very supportive and helpful during that difficult time, it is crime to ask for more! I have actually never thought of that before. But you were right the display will surely pop up at the backscreen and it cannot be turned off completely. Thank you for you're time you put in this blog!! And also, thanks for taking time to answer everyone !! can it be true, that the EM1's Wifi doesn't support video? Hi Robin, you have an excellent page. Thanks for sharing with us. I just wonder when apple app will be available. And i have another question. It's all about OMD EM1 and Blackmagic Pocket Cinema Camera. I want to buy both and i know they i can easily change lenses and make greate shots and videos. Zuiko lenses give us that opportunity. 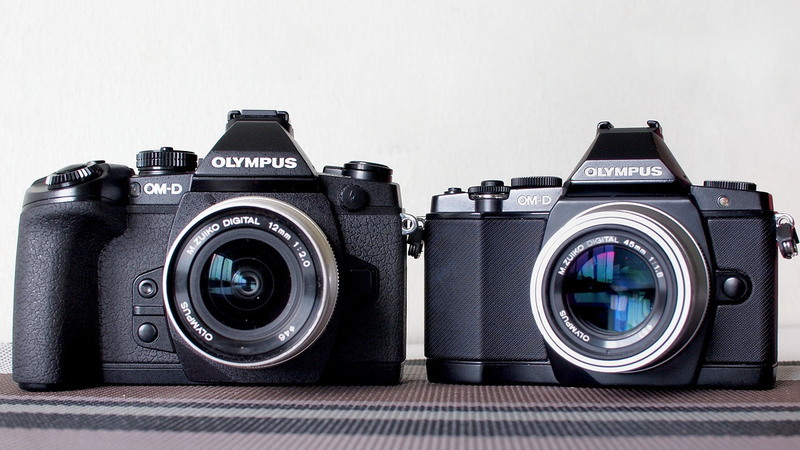 But my question is also this: Do you think Olympus will release something better in 5-6 month? Thank you for the excellent review and EM1/EM5 comparison. I am a EM5 user and I also shoot with a Nikon DSLR. Having gotten used to the "weightlessness" and super portability of the m4/3 system I really wish to finally do away with my DSLR and F2.8 zooms which is giving me a serious backache! One issue remains with my EM5 through and I am hoping you can shed some light on whether the EM1 has addressed the problem or not. Here goes... The EM1 can now do focus tracking reliably just like a DSLR but what about viewfinder blackout when using TTL flash? With my EM5 shooting catwalk modelling for instance, the Single shot AF is fast enough to capture the subject once they come to a temporary halt in most cases but when using TTL flash there is too much of a shutter lag and EVF blackout caused by the preflash exposure calculation. This causes quite a considerable delay from shot to shot and causes me to lose track of subject position often. The burning question is has the EM1 fixed this? Is it as good as a DSLR or better in this respect? or this is normal ? I have an oly e-520 and am looking to upgrade to something that takes even better pictures. Everyone tells me to get a canon or a nikon but I've loved olympus since I first started taking pics with my dad's camera as a kid. Would this camera work for pro shooting family photos, nature, portraits? top most in related post of Very informative and well written post! Quite interesting and nice topic chosen for the post. Hi Robin,as one of your commenters asked about birds and the EM1-- I found that on focus tracking in good light the camera has less than 50% keeper rate for soaring birds. it seems to aquire focus then take off somewhere else other than the bird. I came pretty close to sending the camera back after 2 days of heavy use--the jury is still out. Will go back and try to research what if anything I'm not doing. I truly do wish that the user manual in print was more complete--other than to pack a tablet around for the software edition....26 pages of sparse English leaves a lot to be desired with the print version. Thank you for your informative blog about the OMD E-M1. I was wondering if you could clarify for me how the IMPORT (WiFi) option works with iOS. I was hoping I could use the WiFi feature of the camera to have my assistant review shots on the fly as I take them in the field. Is it possible to setup the app to automatically retrieve images and display them on my iPad while I am shooting? Is it possible to do this on any platform (Windows, Android, Etc.)? Thank you for your time! Great blog, thanks you so much for taking the trouble to do this comparison between the EM-5 and the new EM-1. The Gefen VGA Audio to HDMI Scaler supports a range of video resolutions up to 1080p. Also, it will take digital TOSLINK or analogue 3.5mm mini-Stereo audio as input, and simultaneously output the audio signal in the same format. The Wireless N Network Camera, model TV- IP551W, transfers real-time online video media on the internet. Wireless n technology supplies unsurpassed instant insurance coverage and also improved loading online video media good quality. I just purchased an E-M1, upgrading from the E-M5. The E-M1 shutter button is really soft. Also there is no click. I press half way down, and it's really hard to feel the tension for the half way point. Even after clicking down there is no click. Is it supposed to be like that? Thank you very much for your huge reports on the om-d series. Being an e-30 user i was really in doubt to leave Olympus. But i really my ZDglass like the 50 macro, 7-14 and 12-60. Those are just crisp in use. Finally i see some nice sample images from those lenses and decided to go for the om-d EM-5. Can't wait to step into the noiseless shutter world! Update, i'll go for the EM-1. Robin, thank you for this excellent review. It answered so many of the questions I've had as I consider buying a new Olympus camera with professional features I can grow into. I appreciate that you took the time to evaluate the M1 and M5 and post this review. And Woody is awesome! Hi Robin, since the sensor is the same between the two cameras, can I assume the RAW files are the same as well? Compare millions of iphone 5s prices from the most trusted stores !! I am a Nikon shooter thinking about switching to Olympus. I need your advice to choose between the E-M1 or the the E-M5 mark II. Which of these camera would you choose to buy? And why? In the US, their prices are about the same. Currently, I am using the Nikon D3 with a variety of primes.